October | 2010 | Go Resorting! Resorts are in the business of having fun, making and event out of any occasion and this year Halloween is no exception. For some live entertainment starting at 9pm on Oct. 30th check out Jamie “Spooky” Williams playing at Bayview Wildwood Resort for an all ages show. You can find a tombstone to rest your head on and a plot to lay on for only $59 + taxes based on dbl occ. Donations are being collected at the door for the local food bank. 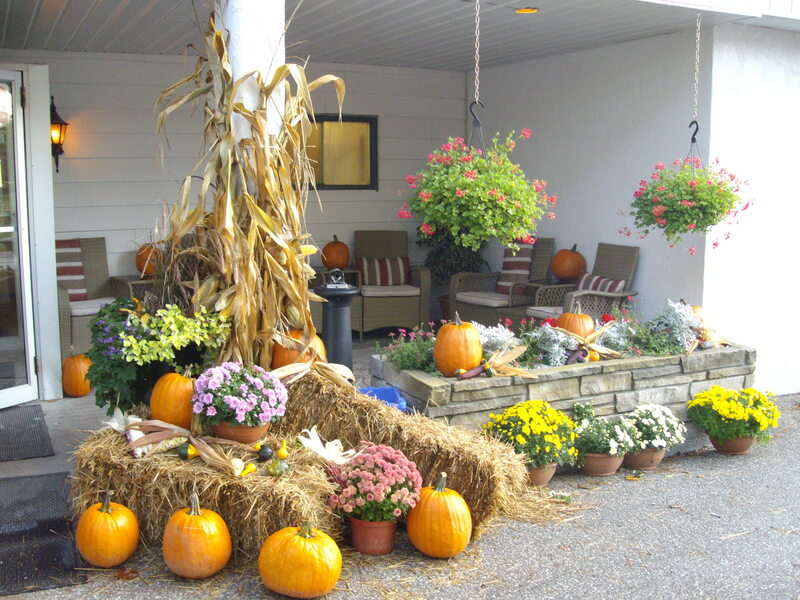 Reservations are required so call ahead to 1-800-461-0243. For a more adult party consider Horseshoe Resort which is also getting set for their “Costume-rific Party.” This 19+ event being held in the Crazy Horse restaurant, will feature live entertainment, apple bobbing contest, dancing and best costume prizes. There will also be Molson girls handing out prizes and samples. Looking for a truly haunting experience, then you have to visit Pillar and Post in Niagara on the Lake. This old town with a rich history from the war of 1812 has haunted tours at Fort George located down the road. Pillar and Post also has a rich history of eye-witness accounts claiming to see a disappearing person. People have even seemed to walk through this “person” from time to time when rounding the wooden Pillars in the dining room. 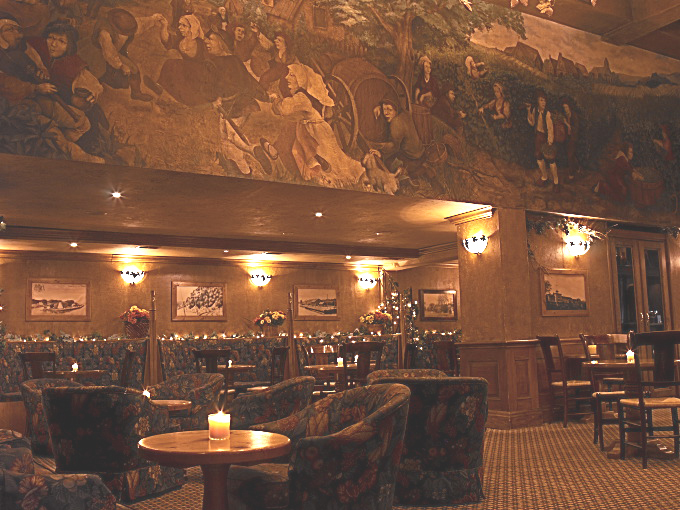 “The Pillar and Post’s Vintages Wine Bar and Lounge is a paranormal hotspot. This cozy, fire-lit room is intimate and charming, the ideal place for a quiet glass of wine and a hushed conversation. Yet, despite the warmth of the hearth, some suggest there’s something cold about the room, an intangible chill that seems to be centered upon a painting of Lieutenant Colonel John Butler that hangs upon the wall. The door just to the side of this painting is said to open and close on its own accord, and people have inexplicably tripped in front of these chairs—as if stumbling over the invisible Colonel’s outstretched legs. In addition, cutlery and plates are said to mysteriously move from table to table, much to the frustration of staff. With options of fun for the whole family, why not come up to our place and start a new Halloween tradition for you and your ghoulish family. 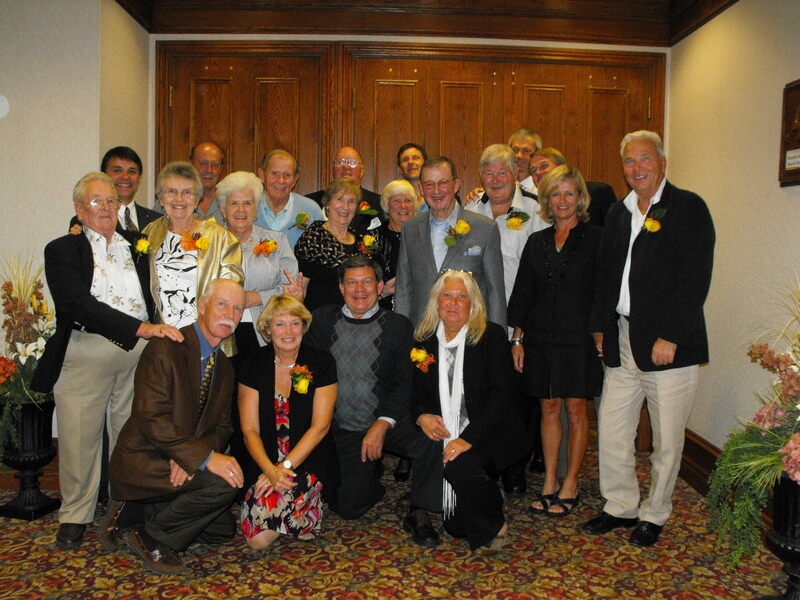 Resorts of Ontario celebrated the tradition of resorting at a special Past President’s Tribute Dinner in September at Nottawasaga Inn Resort. Fifteen (15) Past Presidents were in attendance at this special dinner. The tribute was organized to honour the contribution of the Past Presidents over their terms of leadership. Resorts of Ontario’s roots began in 1942 during WW2, when rations were instituted, and vacationers still needed to be accommodated. The industry came together as a lobbying force to advocate for the resort sector of Ontario’s tourism industry. Through the years, each President has left their leadership stamp on the organization, taking the association on paths which facilitated growth for the industry. This celebration was also an opportunity to celebrate the tradition of resorting in Ontario. Today the association continues to represent resort hotels, resort lodges, country inns and cottage resorts. These properties provide a rich experience for families, couples and groups. Marketing has always been a key mandate for the organization, with quality, service and dependability being at the core of hospitality.